Most businesses do not need a tool to manage their customers, they need a tool to turn their prospects INTO customers! "Great App of entrepreneur "
it is a great app for entrepreneur to keep track of their sales and prospects. its very cost effective and you can customized it to fit your business needs. I also love the mobile app. I cant really think of anything I dislike about it. I would definitely recommend it. only one way to find out if its right for you. give it a try. I'm able to keep track of my everyday activities and guide each prospect through the pipline. Being able to take a picture of a business card, and automatically having the info uploaded is a huge time-saving tool. The recognition is also way better than other apps I have tried. Sure, some things you have to correct, but that's normally due to some complicated business card with too much info on it. Also being able to add tags, or categorizing a lead is a great benefit. As well as the BCC emails and not having to search your inbox. It's not really a dislike, but more getting use to the terminology of To Do and Standby. Standby is where you can add reminders, and in my mind I keep going to the To Do tab to check on my reminders. Something I'm sure I would get use to the more I use it. Keeping track of which customers I have contacted, which ones I still need to contact, who has quotes, who still need quotes. Account management basics. "Minha experiência com a You Don't Need a CRM"
Gosto da praticidade proporcionada pelo produto, simples e eficaz, cumpre o que promete. Uso a pouco tempo e cada dia que passa gosto mais! Os avisos de agendamentos na parte da manha de tudo que tenho que fazer durante o dia é a melhor parte pois não me deixa esquecer o que tenho que fazer. O melhor de tudo é que não perco mais negócios por falta de suporte, pois hoje a mente não da conta de tanta informação e papeis se perdem é uma coisa triste, com a You Don't Need CRM isso acabou, tenho um gerenciamento impecável dos meus clientes nunca deixando passar direto alguma informação, e isto é apenas o começo! Tenho certeza que vou me dar muito bem aprendendo mais e mais a cada dia que passa. O produto as vezes não me avisa de um agendamento que fiz para o mesmo dia, ou melhor, não avisa no e-mail, acho este um ponto negativo. No mais, estou satisfeito. Um CRM é uma ferramente fundamental, eu buscava um decente a pouco tempo atrás, até que descobri a You Don't Need a CRM e o atendimento da empresa é fantástico! Cumpre o que promete e agiliza meu dia a dia, indico com tudo que posso! Vale a pena investir! Eu gosto sempre das minhas coisas organizadas, eu consigo sempre ligar no prazo e na hora combinada para os meus clientes, sem contar que meu pós venda ficou muito mais eficaz. IT is so easy to use but so powerful. You can get right into it from the start without much of a learning curve. There really isn't anything I dislike about it. Totally worth it. I tried many others and this was so simple and so flexible. 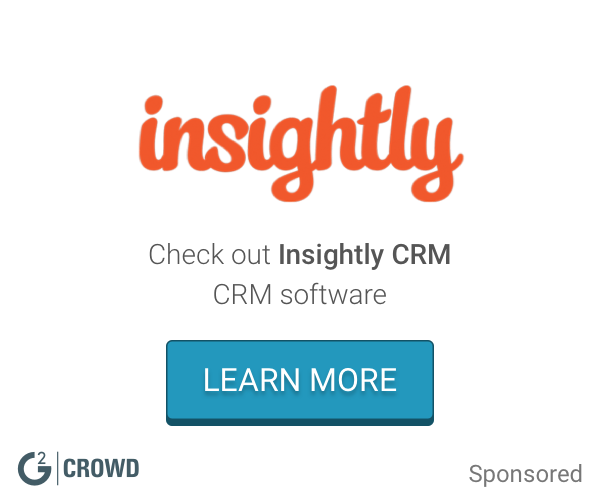 It really is the way to go if you are looking for a simple CRM with robust features. It took less than a day to implement and they have webinars all the time to walk you through it. The integration to other apps works great. Very happy with it. "You Don't Need a CRM"
This program works great for simple lead tracking and follow up. I didn't need a full crm. I have one. I just wanted simple reminders and status updates. This is perfect for it. It's a great way to keep notes, set reminders and know where you are with your lead. It also helps you organize your workload. Only thing I dislike is I'm unable to edit the calandar appts from within outlook. I do like that I can add appts from crm and they go into outlook, but would be nice if I can edit them. I needed a lead tracking and development tracker. YDNACRM made it super easy without all the stuff I didn't need. I needed a good system for reminders and to be able to keep a good follow up list and this helped. "Comparto mi aprecio por la excelencia de este software"
Es muy facil de usar, totalmente configurable. Me ayuda a organizarme y a mejorar enormemente mi productividad. Es realmente EXCELENTE. Tanto el software como la INMEDIATA asistencia del soporte tecnico. 100% recomendable para todo uso administrativo, organizativo y de base de datos datos. me ayudo a mejorar mi productividad, mi eficiencia. Al tener el acceso online desde mi ANDROID poedo trabajar mientras viajo. Me encanta. "Amazing Tool which is life saver . YDNCRM, you work great "
We have been using YDNCRM since almost 2 years now and its a life saver for a small startup like us . It's simple to use and very interactive. Its reduced our work to a big extend. Using YDNCRM its very easy and simple to manage clients folders on their transaction and also simple to find the client details . You guys are awesome for creating this amazing tool . Looking forward for more updates in future . This Tools works great so far to meet our requirement , yet not found anything to dislike . We are running an aggregate business for delivering on demand driver and cabs service across city , which allows user to book a driver or cabs 24/7 for local hourly and outstation trips. "Very good application for prospection"
Very simple to use and to get used to. it is easy to understand and to start with. This is a very good tool and very helpful for prospection. "Very good alternative to the classic ones"
The fact that time is the number one metric. Very powerful when it comes to get back in touch with your client. The categories aren't very well developped. We all have different types of clients and I would like to have an easier way to tell them appart. The roadmap is pretty clear to me, they make small improvements regurlaly and talk about the big ones from time to time. "Good and easy to use but miss tiny features"
YouDontNeedACRM has a really beautiful and user-friendly design. Beside, the low amount of features or step to manage a lead let you do in a really fast way. You can't identify if the action on a lead is linked with the "ToDo" or it's just an info. I mean that an "action" on a lead is the same as a "comment" so when you check for what you have to do about the leads, you have first to check all the comment to identify which is just info, or which are action todo. Beside, there is no application.... This is really a shame. "Great Product for small business"
This software is very intuitive and robust but comes across as minimalist. I highly recommend it. The pipeline sorting is very useful. If you are looking for software to capture and sort leads I recommend trying this. I really haven't found anything I dislike yet. Give it a try. The set up is quick. It also allows export. Rapid and intuitive sorting and searching of leads. "it's a great way to organize all of your prospects"
my daily email reminders that pop up in my email. it also catagorizes all of my leads which i can easily see on a spreadsheet. like to see it more in a calendar form than having alerts. it's helping me stay on track of my leads. "How have I lived without this"
It's just so easy to use and very powerful as all the information we need is right there. Great APP. Very simple to use, have a good interface and organization. Do not feel any limitation of the software and be possible to integrate with ZAPIER. Customer service very good too. The price is low but the app is great! nothing to report.Could have integration with a map for example. More Sells and more organization. "Easy, functional and focused on the important things"
It was really easy to integrate with our email platform and we now have all the information always synchronized. You may need some time to get used with the system and its philosofy. It allows that our sales team work 100% focused on their opportunities and don't lose time and efforts filling long forms. Simple, stable, fast... i love web based software because you can easily work from everywere. * We monitor all noCRM.io reviews to prevent fraudulent reviews and keep review quality high. We do not post reviews by company employees or direct competitors. Validated reviews require the user to submit a screenshot of the product containing their user ID, in order to verify a user is an actual user of the product. Hi there! Are you looking to implement a solution like noCRM.io?